Video: Electric Automobile On The Road To Complete 3000km Solar Race! Home / Automotive / News / Video: Electric Automobile On The Road To Complete 3000km Solar Race! 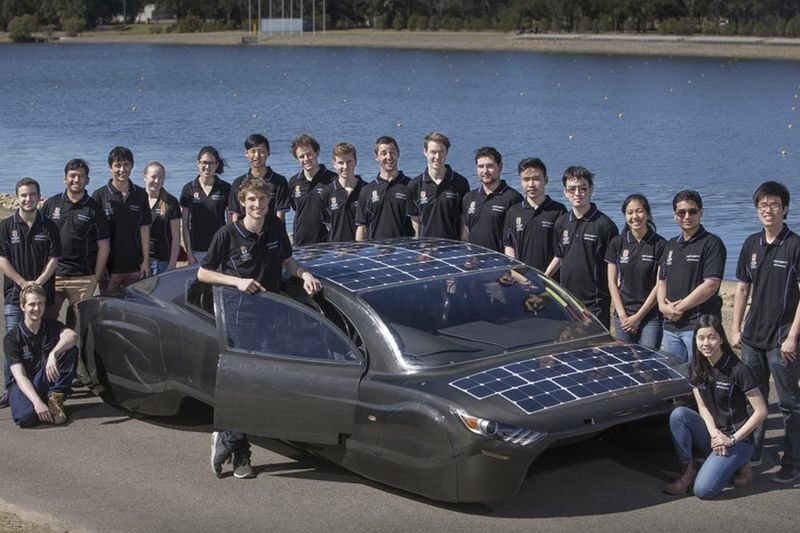 An electric automobile designed and built by engineering students at UNSW, Sydney, is on its way to compete in the world solar challenge. Sunswift Violet – a sleek four-seat car – left Sydney on a 4300 km drive to Darwin, where it will compete in the Bridgestone world solar challenge. Following the ‘eVe’ emissions vehicle, it is the sixth car created by the university’s solar racing team Sunswift, built for practicality, speed and endurance, while combining innovative technology with modern comfort. Sunswift Violet will be challenging 47 teams from 21 nations in the 3021 km race from Darwin to Adelaide, which begins on Sunday 8 October 2017. The Sunswift has a top speed of 130km/h and a range of 800 km running just on its rooftop solar panels. It also sports modular lithium-ion batteries which store power from the sun, running just on its batteries; which adds an extra range of 400 km. The vehicle relies on around 7 kW of horsepower at 110 km/h and two 1.5 kW motos that run at 98% efficiency. With a twill carbon-fibre monocoque chassis, the electric car weighs less than 400 kg. and because good aerodynamics are vital in the quest for energy efficiency, Sunswift Violet has a drag coefficient below 0.2, better than most cars on the market. In the video, you get to see the UNSW team test out the Sunswift Violet electric automobile.